we really enjoyed our homemade limeade. in addition to drinking it plain, we also jazzed it up with some berries. limeade and lemonade can be flavored with just about anything. 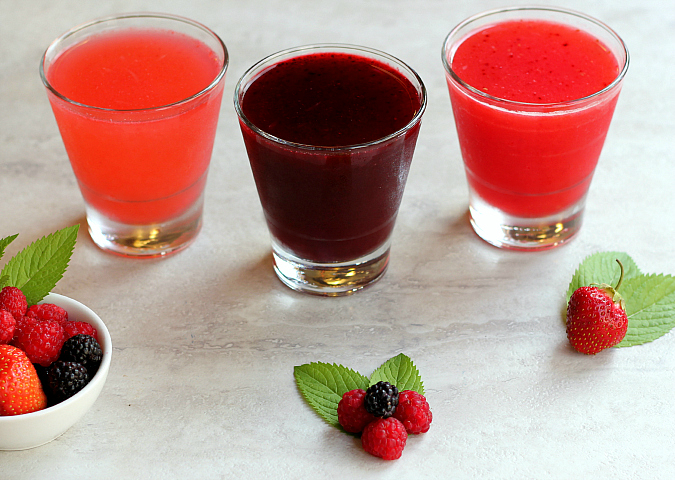 we made three flavors of berry limeade: strawberry, blackberry, and raspberry. 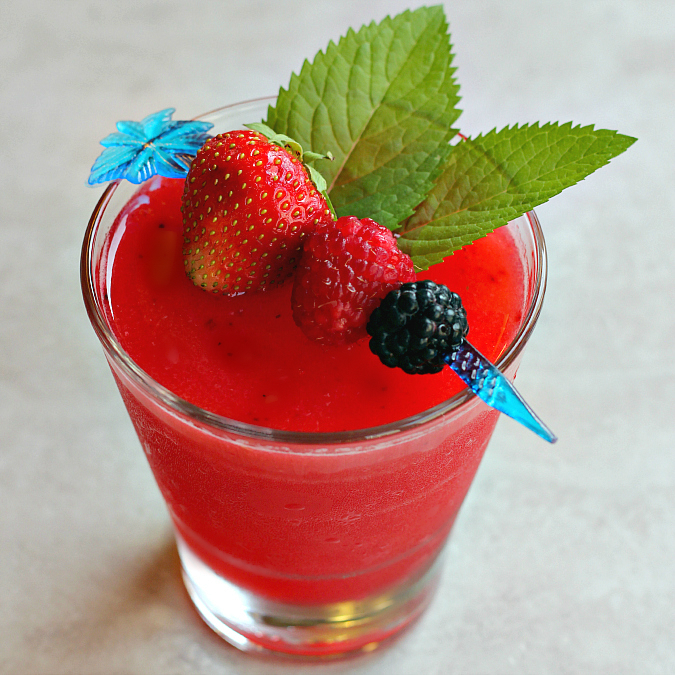 the fresh fruit added such a great flavor to the limeade and it was a wonderfully refreshing treat! in a blender or a food processor, puree the berries. press the pureed berries through a fine-mesh strainer to remove the seeds. 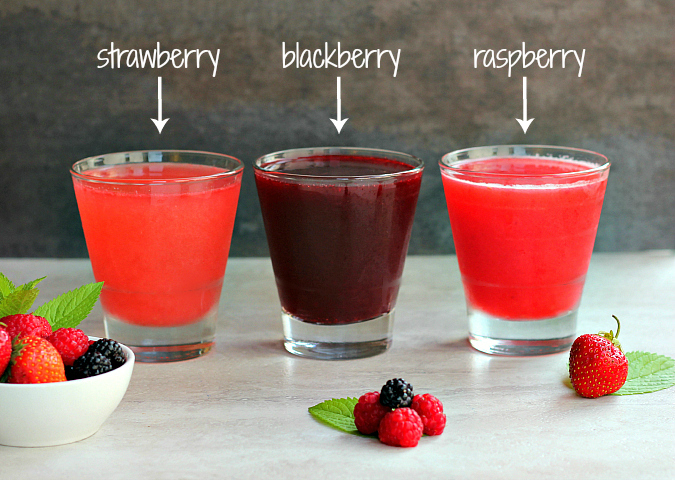 spoon the strained berry puree into a glass of limeade. stir well to combine. adjust to taste. Love the colors the berries created. Bet they taste delicious.